The bouquet is filling in nicely. 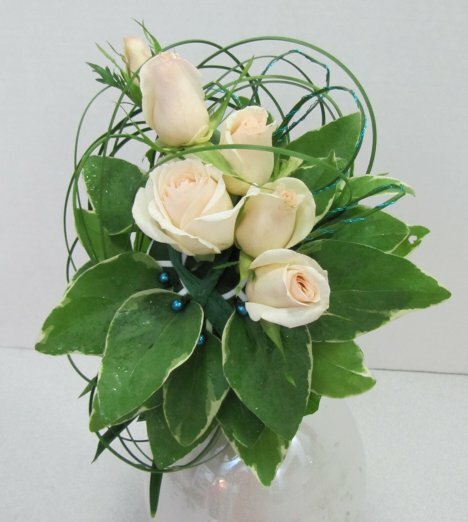 See how you can stretch your flower budget with fewer flowers by adding a nice combination of greenery? 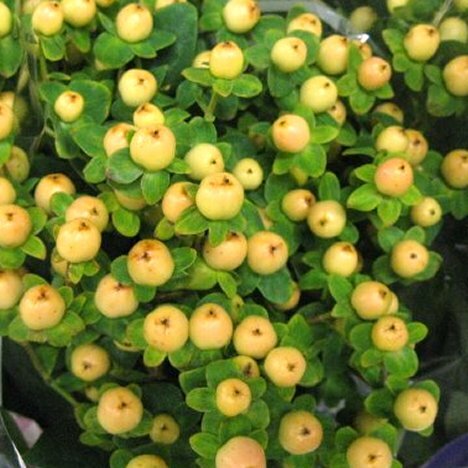 I'm now going to add in more interest by using hypericum berries. 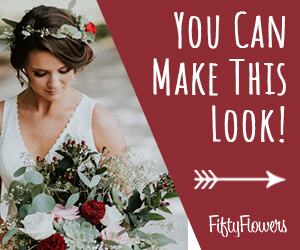 Other flowers that add a great deal of texture to designs include thistle, astilbe, billy balls (craspedia), silver brunia or filler flowers like wax flower or muscari. Some of the above are seasonal, so you have to choose carefully. 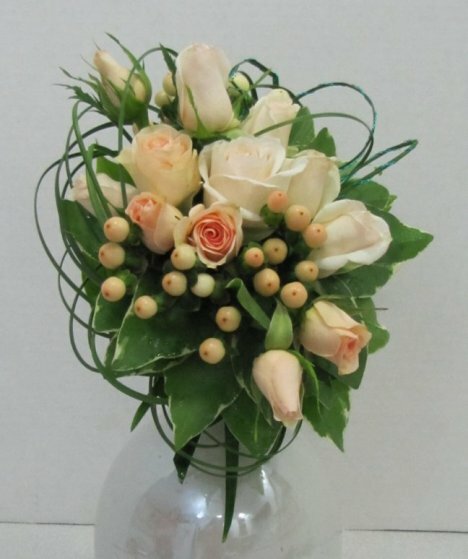 The dainty balls of hypericum look lovely tucked around the spray rose heads in clusters. Notice I did add a few lily grass blades coming down straight on the left side for extra visual interest. 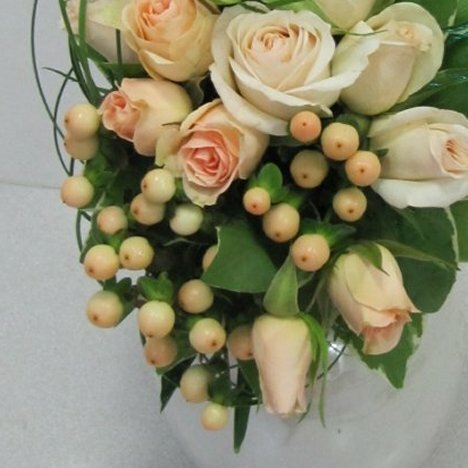 Fill in until you are satisfied that the finished bouquet looks the way you would like it to. Again - be careful not to overlap the steel grass so it is completely concealed. The idea is for it to be part of the final design.